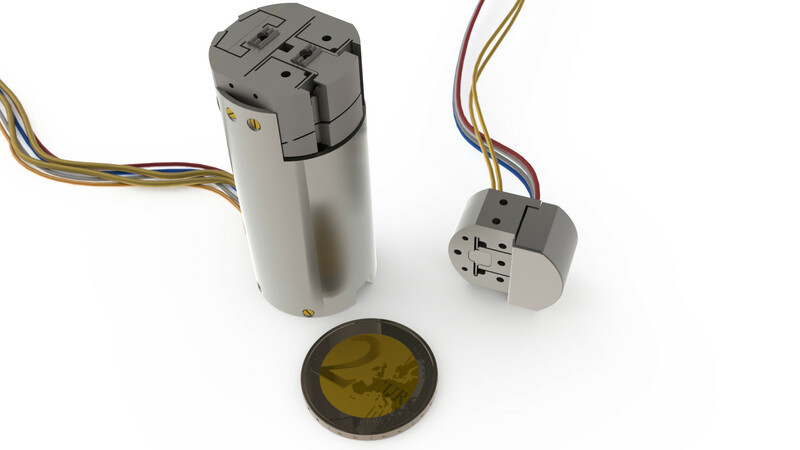 Razorbill Instruments uniaxial pressure cells are cryogenic-compatible research tools that allow researchers to ‘tune’ the electronic properties of materials by applying stresses and strains to samples. Razorbill Instruments sell two main types of product: the CS series which are compact, low-cost and measure applied displacement (strain) and we sell the FC series which are higher performance and measure the applied force (stress). The image to the right shows the FC100 (left) and CS100 (right). Both are designed to fit in a 1-inch diameter magnet bore (such as a Quantum Design PPMS). A key difference between the CS series strain cells and the FC series stress cells involves the parameter being measured. The CS series has a displacement sensor in parallel with the sample to measure applied displacement, and hence strain, whereas the FC series strain cells have a force sensor in series with the sample to measure applied force, and hence stress. In both types of device, the sample is mounted using epoxy. Because the epoxy itself experiences a strain, not all the displacement applied to the sample will translate into sample strain. This means that force is a parameter that is less susceptible to variations in the way the sample is mounted and a generally more repeatable metric. 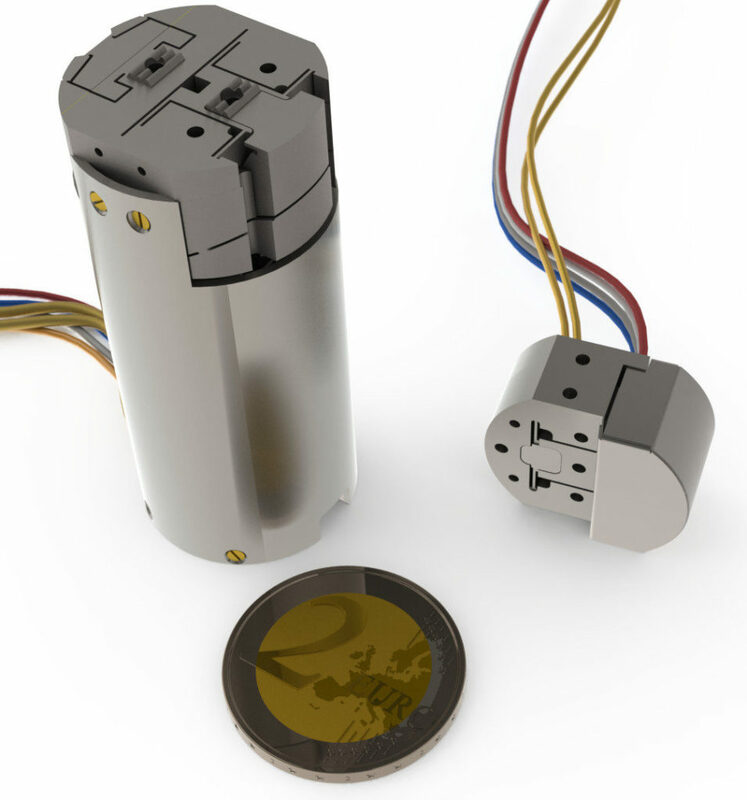 The uniaxial pressure cells provide a way to tune the electronic properties of materials. In order to measure these changes, the strain application must be combined with one or more measurement techniques. The sample is suspended between two anchors on the top surface of the pressure cells so that it is highly accessible to other measurement techniques during straining. It has been successfully combined with transport and susceptibility measurements as well as scanning probe and optical techniques.